The Toyota Prius battery has one of the best warranty back up. They offer a warranty for eight years or one 100,000 miles. In the event of a problem, during the warranty period, the Toyota Company will replace the battery at their own cost. Another option available for Californian residents, under the California standard emission state is an extra warranty of ten years or 150,000 miles on his Toyota hybrid battery. During the warranty if the Toyota battery fails, the company automatically replaces the same at no cost. Hence there are no chances of any problem up to eight years. After the expiry of the warranty, there are chances for problems to occur which will affect the Prius standard performance. There are no hard and fast rules stating the outcome of the Toyota Prius battery life after eight years. 1) Replace With A New Prius Battery. The first is to replace the battery with another Toyota Prius battery. The cost for this option is around $4000. This is a very expensive option that will burn a hole in your pocket. The drawback of this option is that the parts may have and order period of more than two weeks. In an ordinary case this option is not at all attractive for the buyer. 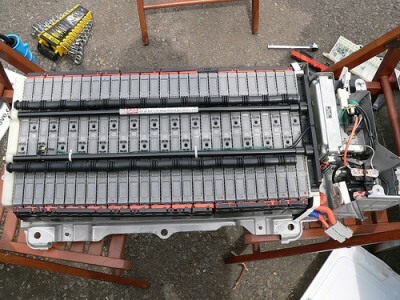 2) Rebuild The Battery System Using Used Battery. Second option is to buy a rebuilt or used battery from online sellers. EBay has a lot of cheap offers. The online sellers may be able to provide a battery under $2000.This is a very cheap option but there are a few risks to face. To buy something without proper backup may sometimes end up as a disaster. So this decision will not be a viable or a wise one. This is because we are not in position to check the life of the battery or its performance. They may turn out to be blind buys. 3) Rebuild The System Using New Battery Via DIY Approach. 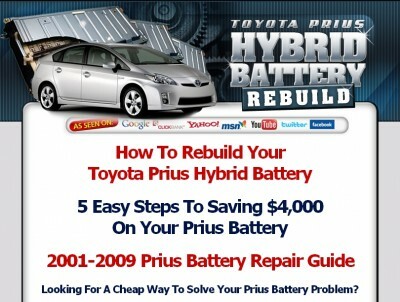 The last and safe options will be to buy a Prius guide which details how to construct a battery on your own. In this option you can ask the help of a local mechanic to assist you. By paying them a fee, they will be able to rebuild the battery with the help of the guide. In my case, when my Toyota Prius battery warranty was over and the hybrid battery started to underperform, I shopped around and got an instructional guide on the web. This was really useful for me to construct a new battery system. This approach was perfect to suit my needs. I’ll recommend the same option for all of you. The advantage of this option to me was a stable battery instead of a new or used one. Considering all the other options, this can be concluded as the best and cheapest option. If you dislike doing the rebuilding on your own, you can avail the help of so many local car servicing shops. With the help of the Prius guide they could get it done for you. The amount of money you have to spend will be around $800 and you will be getting your Prius battery up and running. You can check out the Toyota Pruis battery replacement guide web site that I used by clicking on the link below.